New wood pellet silos for Marie Brizard in Poland with a special ventilation system. Silos Córdoba has developed a new project for Ateliers de Fos engineering in the city of Lancut, Poland. 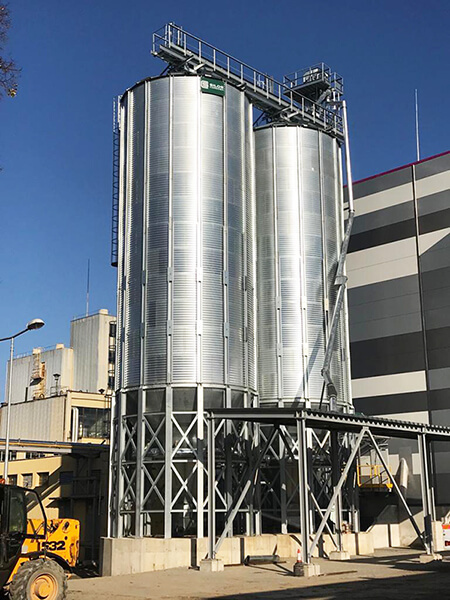 The new storage facility – executed for the French producer and distributor of wines and liquors Marie Brizard Wine & Spirits – is conceived for the storage of finished wood pellets. Wood pellets have become a must in the European energy sector and are gaining popularity in the rest of the world, especially wood pellets used for industrial or residential heating, because people have finally realised the ecological and economic importance of sustainability. The total capacity of the plant is 1,000 m3 of wood pellets, which is equivalent to about 750 tons. 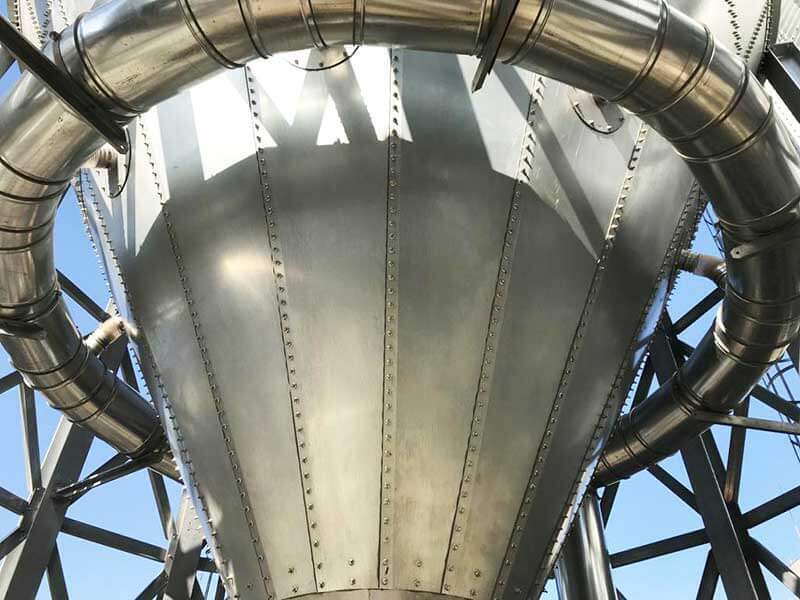 The project includes 2 hopper silos, model 6.11/12 with a 60º cone and a 1200 mm outlet, especially designed for the product flow. Loading and unloading is carried out through screw conveyors at 40 T/h in both silos. It is also worth noting the special ventilation system designed for the cone of hopper silos model 6.11.